Mega Power Star Ram Charan is currently busy overseeing the production activities of his dad Megastar Chiranjeevi's upcoming entertainer Sye Raa Narasimha Reddy which is progressing under the direction of Surender Reddy. Ram Charan who is producing films on Konidela Productions, when asked whether he will produce other stars films made it clear that he will concentrate only on producing his dad Chiranjeevi's films and has no intention to produce or collaborate with other banners. Ram Charan already produced Chiranjeevi's Khaidi No 150 and is getting ready to produce his dad's next with Koratala Shiva. 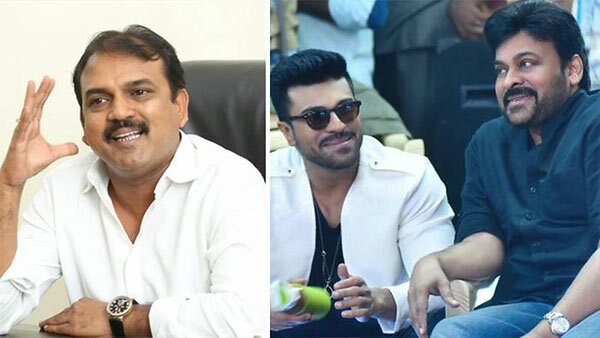 In the meantime many got surprised when it came out that Chiranjeevi-Koratala's project will be a joint collaboration between Ram Charan's Konidela Productions and Matinee Entertainments. This made many wonder why Ram Charan made this sudden turnaround. Sources say Koratala after Bharat Ane Nenu entered into an agreement with Matinee Entertainments and even took the advance. So due to this contract, Ram Charan joined hands with Matinee Entertainments to co produce the project.